I pray before I sleep, thank God for graces before each meal, serve as a chorister during certain Sundays, and attend masses as often as I can. I am not sure I should be the one to tag myself as devoted; but I have great faith and I respect my religion. I am proud that the Catholic Church does not command its people to engage in decisions that are personal in nature: I am free to wear, to eat, and to vote. 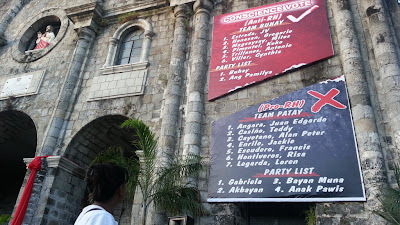 Last February 22, a huge poster containing names of senatorial candidates further divided as Team Buhay (life) and Team Patay (death) was displayed in front of San Sebastian Cathedral in Bacolod City, Negros Occidental. Apparently, our dear Church listed the names of senatorial candidates who, in their capacity as congressmen and senators, voted “no” to the Reproductive Health (RH) bill and placed them under Team Buhay, together with two party-list groups. Team Patay comprises 7 candidates and 4 party-list groups who favored the said bill. The poster gained even more popularity when the Commission on Elections (COMELEC) ordered its removal due to the violation of exceeding the maximum size of election parapheralia (2 x 3 feet); the one in question is at least 6 x 10 ft. The Diocese of Bacolod debated that it is not an election material, it is just their way of informing and guiding the religious. In fact, other churches in Negros Occidental and in other parts of the country are planning to put up similar notices. The Church then gained support from the Catholic Bishops Conference of the Philippines (CBCP) when it said that “there is nothing wrong” with the display, and from the Supreme Court (SC) when it issued a restraining order to the COMELEC to stop it from putting the poster down. Up to this day, the sign is still in its place although it has slightly reduced in size. Never mind the issue of proportion, the real matter of contention here is the desire of the Church to influence the voting public. Having graduated from a catholic school, I have all my life been proud of my religion while maintaining respect for other beliefs; but this fact does not stop me from having an open mind. To me, putting up a poster that big is clearly endorsing, to outright say that is merely guiding the people is a shameless lie. Might as well tell us that Jesus Christ appeared in a dream and ordered the roster of those candidates in the church wall; that might work. In a world as modern as ours, the majority thinks with malice and common sense. 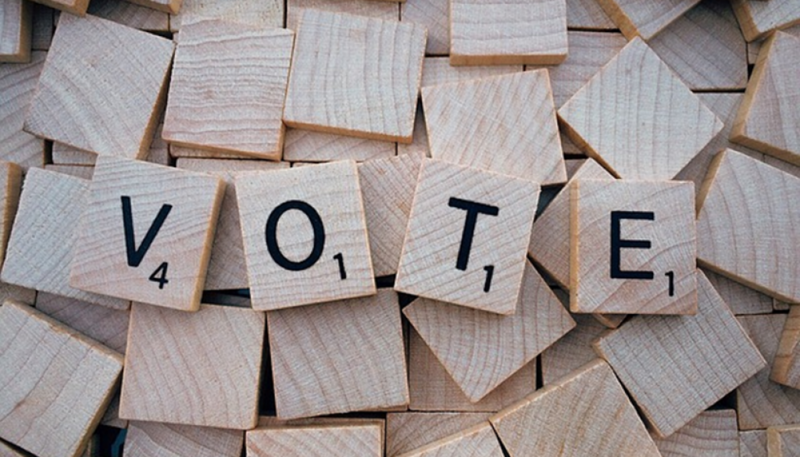 A candidate’s desire to give out help to calamity victims can be tagged vote-buying, a huge poster with check and cross marks over candidate’s names is political campaigning. I am saddened by this step taken by the Church, my democratic voice was insulted, but my faith is still intact. My only vote will not be affected by advertisements nor sect recommendations, it will be for those whom I believe will protect our rights as people and will bring about change for this country.